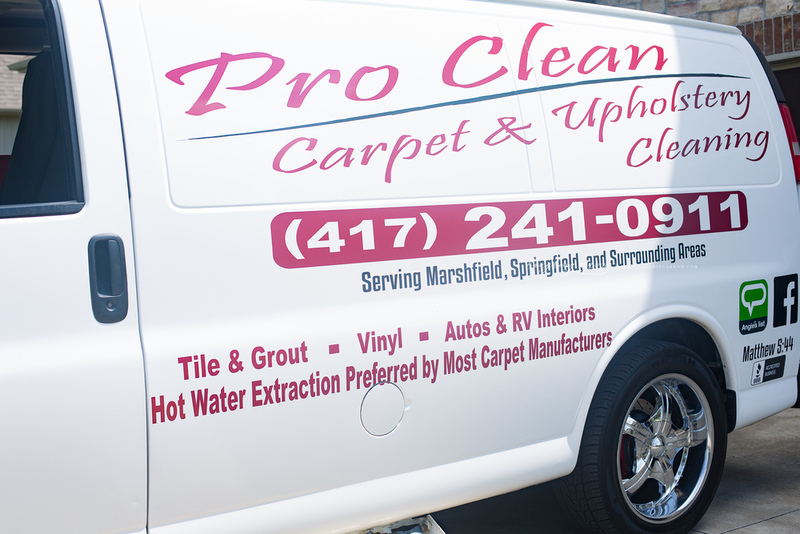 Pro Clean is a professional cleaning company in the SGF area offering many services for your home or office. We service the Springfield and surrounding area with quality cleaning and pride ourselves in providing outstanding service for each client. Click today to receive your FREE estimate or call us at (417) 241-0911 and we will respond within just a few hours. Pro Clean wants to earn your long-term business by providing you with the highest quality cleaning service around. Contact us today for your free quote! Pro Clean believes a healthy home starts with clean carpets. Nothing cleans more thoroughly or protects your home’s carpet investment better than Pro Cleans method, also known as hot water extraction. It is the preferred carpet cleaning method recommended by most carpet manufacturers, including Shaw Industries, the largest manufacturer of carpet in the world. Pro Cleans upholstery cleaning service can restore the beauty and extend the life of your favorite sofa, chair or other upholstered furniture. Pro Clean gets back the vibrant color and beauty of your fine furniture. Carpet & upholstery cleaning is our business. With Several years of Experience we take pride in offering the 417 area exceptional customer service and a brilliant outcome all while withholding our Christian values. With a low overhead we can keep our prices lower than our major competitors.